At his most desperate moment, Ethan Saunders is recruited to find his ex-fiancée's missing husband. Meanwhile, Joan Maycott and her Revolutionary War veteran husband distill whiskey on the western Pennsylvania frontier. As their causes intertwine, Joan and Saunders - both patriots in their own way - find themselves on opposing sides of a daring scheme that will forever change their lives and their new country. Twenty-three-year-old Elaine Kelly doesn't earn much as a bank teller, and most of her salary goes toward caring for her terminally ill mother. When a lonely old man who deposits money at her bank every week gets hit and killed by a delivery truck, Elaine - a good Irish girl from Queens - thinks she's found the answer to her problems. She'll just transfer $1 million from the dead man's account into hers. In the autumn of 1938, Germany's reichsführer, Heinrich Himmler, is growing frustrated at the British using their regional power in India to block the passage of an SS expedition to Tibet. Determined to spite them, he plots to steal something the British hold dear and have failed for the seventh time that spring to achieve: a first summit of Mount Everest. Seventy years later, seasoned mountain guide Neil Quinn's ninth visit to the top of the world's highest mountain, this time in charge of the 16-year-old son of a Long Island billionaire, begins to unravel. Historical Fiction at its Very Best! Forty years’ accumulation of art, antiques, and family photographs are more than just objects for Stanley Peke - they are proof of a life fully lived. A life he could have easily lost long ago. 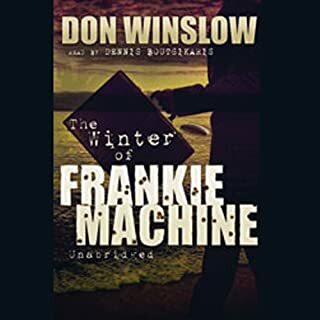 When a con man steals his houseful of possessions in a sophisticated moving-day scam, Peke wanders helplessly through his empty New England home, inevitably reminded of another helpless time: decades in Peke’s past, a cold and threadbare Stanislaw Shmuel Pecoskowitz eked out a desperate existence in the war-torn Polish countryside, subsisting on scraps, dodging Nazi soldiers. Now, the 72-year-old Peke - who survived, came to America, and succeeded - must summon his original grit and determination, to track down the thieves, retrieve his things, and restore the life he made for himself. Peke and his wife, Rose, trace the path of the thieves’ truck across America, to the wilds of Montana, and to an ultimate, chilling confrontation with not only the thieves, but with Peke’s brutal, unresolved past. What made the experience of listening to Moving Day the most enjoyable? The pace of the story was perfect. Within minutes the engine of the story was in full motion and we are immediately immersed in the premise. There were plenty of twists and turns to keep your interest. Yes. There were some great emotional moments. I literally had zero expectations for this book. To be honest, I didn't even remember pre-ordering it. When I looked on my email in the morning, I saw a notification that my pre-order was available to download. It's been a while since ordering it, so I didn't even remember when or why I ordered it. Rather than look up the summary, I just started to just listen to it and by then end of the day... I finished it. I couldn't stop. The story grabbed me from the start and I simply had to keep listening at every opportunity I could get. I almost want to stop here. 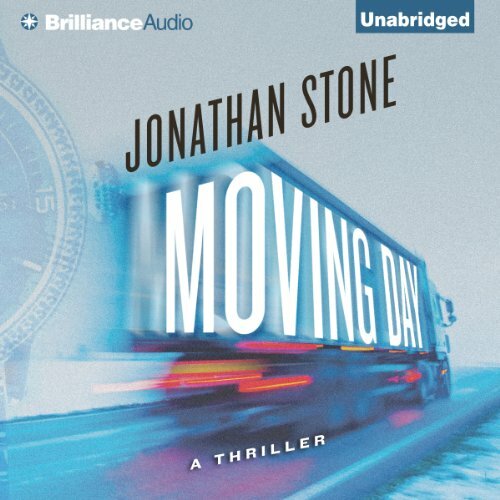 Moving Day was one the best and most unique audio book experiences I have had in years. And ive had quite a few. A combination of irony, narrative, depth of character, a great story and perfectly timed narration is what makes this so perfect. For example in most of the other 5 star thrillers i am always attracted to the quick witted banter between characters. Here we are treated to a third party narrator taking us deep into the depths of each character. Remember the old Disney movies of real wild life where the only dialogue was the narrator walking you through each scene? Moving Day is something like that, only so much more in depth. The motivation of the characters and the story itself is revealed through the author's use of irony. I actually word synced this book with kindle so id have it written form. I am just an avid reader, not a critic, but think the use of irony takes this novel from a great thriller to a literary classic. In virtually every great book Ive read I fall in love with the characters and long for more of the same. That is not the case in Moving Day. I rushed to its conclusion and was as exhausted as I was thrilled. The depth of character was so dark, rich and personal i felt more like a voyer. This is sure to be a popular movie, perfect for Eastwood or some other agiged superstar. Thats great for Stone, but i think the real thrill is in the reading...or listening! Up and down...but ended WAY UP! This book was at once exactly what I expected, and also NOTHING like what I expected. To read the synopsis provided for this book does not lead you to understand what it is you are about to read. There are a lot of "words" in this novel. What I mean is, much of the narration is describing what the characters are thinking, and WHY they are thinking those things. What has lead them to the place in their lives that causes them to think and feel the things they are thinking and feeling. I found myself being captivated by this at times, but also bored by it at other times. Overwhelmed by the sheer volume of the words and descriptions and thought processes that the author wanted to convey. But, once I got the idea of the kind of story Mr. Stone was trying to lay out, most of these things stopped being a nuisance, and began intriguing me more and more. Some of the storyline is a little far-fetched, and not completely plausible, but THE ENDING was INCREDIBLE!! This is a great story with an absolutely masterful ending. I did not see it coming...at all. I loved it. The narrator did a fabulous job, as well. Very consistent and very good. Overall, a great read! 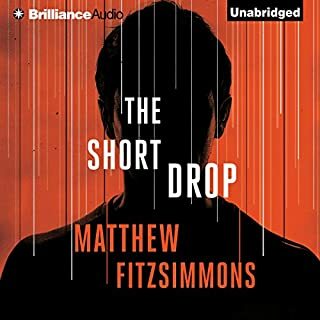 I’ve listened hundreds of audiobooks and this is one of the best, and the best revenge story since the Count of Monte Cristo. The protagonist is 72. He and his wife are moving from the East Coast to live out their lives in the “kinder climate of Santa Barbara.” A team of men in neat, clean uniforms arrive with a big moving van. The geezer thinks they are a day early. The team leader, polite and intelligent, checks his clipboard carefully and confirms that today’s the day. The geezer’s wife appears and says the van and crew are a early. The geezer thinks he’s made a mistake – after all he’s 72 – and his wife got the date from him. He assures her that today’s the day. The crew packs up the house carefully and efficiently. The leader asks the geezer if he and his wife have a place to stay. Yes, the geezer assures him, he and his wife will spend the last night in the house just as they spent their first, with nothing but a blanket and candle. That's nice - I'd like to know these people. The next day the real movers arrive. I’m 71 and live in Santa Barbara, and I relish the suggestion that the thieves who prey on geezers who recognize their own potential for getting a date wrong, may made a mistake in the selection of their victim. Yes, he and his wife have accumulated beautiful and valuable furniture to steal. It was insured, and they are the kind of people who have never a single claim on their homeowner's policy. They know and feel that what they lost was just STUFF They will be well compensated for their loss, and they are moving to Santa Barbara. They can and should enjoy every minute of the rest of their lives. But the thieves may have made the mistake of stealing from a geezer who has spent his entire adult lifetime repressing his Inner Badass. Excellent writing and well performed. 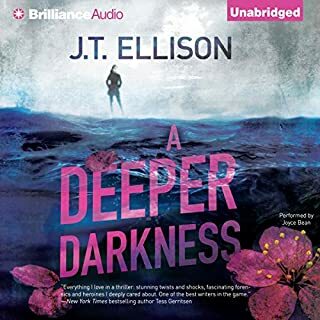 I enjoyed the premise of the story -- it moved at a good pace -- though at times when I was listening - I had to rewind a bit to realize the story was in flash back. There is a lot of "thinking" narration and it goes back and forth from the past to the present. I wanted to count how many times the author told us the main character's age. That was a bit repetitive. Like other reviews - this isn't necessarily a "thriller" -- more of a "who dun it" mystery-ish story. I will look at other selections from this author. The narrator was good. Brilliant. Unique. Not to be missed. 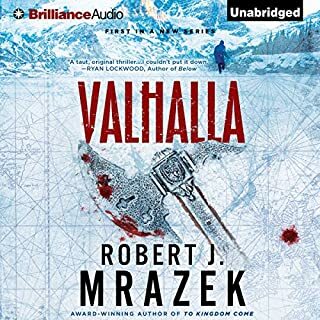 This is one of the most astounding audiobooks I have ever read. Both author and narrator are brilliant. The plot is beyond ingenious: it is so deeply felt, so much a factor of the personality of Stanley Peke. And Christopher Lane is perfectly up to the task of communicating every thought and every feeling that are so well portrayed that it is impossible to overpraise the entire work. What was one of the most memorable moments of Moving Day? Almost every moment of the book is great, but there is one that stands out. It is often said that it is very hard to write an ending that is as good as the great book before it. The climax of this book is thrilling. I will not spoil it for you. It was so moving, so heartfelt, so deeply the culmination of all that has gone before. Every moment. He is so great that he truly seems to feel the variety of emotions that run through the life of Stanley, his wife Rose, the thief Nick, and the lesser cast. His narration can truly be compared to the greatest: Muller, Ballerini, etc. I have never said that any narrator was better than those two guys, but this would be a moment to say it. I hate the idea of this book being made into a movie. There is so much truth in it; Hollywood is the master of falseness. To try to make money on this material is shameful, although I am fully a capitalist. Some things are sacred, and they no more belong to a religion than to a commercial, capitalist production. God forbid. The book is a little too long for my tastes. There is some gore, which some readers may find hard to take. 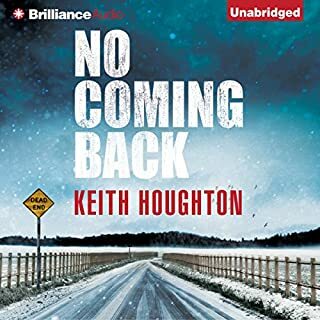 But if you can forgive these creators these little quibbles, you will have one of the most memorable experiences in the world of audiobooks. I am in awe of this work of art. Oh, my goodness. This was a fascinating book, even though it wasn't what I expected. To have such a personality-driven and layered book makes this one stand out. Christopher Lane did an excellent job with the narration. Because it was slow, which was appropriate, in its delivery, I ended up moving it to double-time on my iPhone. I would recommend this because of how you'll be surprised. A man of Jewish Polish descent, a survivor of the Nazi occupation is the victim of a con artist. Having lost everything as a child he is determined, at any cost to not let this happen to him again. A gripping psychological thriller. I could not put it down. Hidden deep within us all is the child, either wrapped up and protected, or scared and running . . . and inside Stanley Peke is the seven year old Jewish boy in the forests of Poland during WWII. He's 72 years old now. He's lived a good life, re-invented himself in America, become a successful businessman, Americanized his name. After 40 years in New England, it's time to sell his big home and downsize. Then on moving day, he is tricked and it is all stolen, taken, and a lifetime of memories is ripped away from him. Insurance will cover it. But that's not the point. His wife, Rose, wants him to let it go. He thinks and thinks about it. He walks around in the empty house. And something primal stirs deep within him . . . he cannot let it go. He has lost everything once before . . . not again. 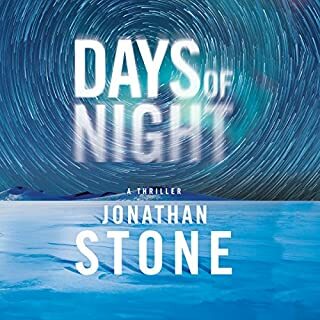 The emotional roller coaster that Jonathan Stone takes us on in Moving Day is one that is unexpected, deeply shaking and it will keep me thinking for a long time. How much we are shaped by our early years . . . How much we keep hidden deep within ourselves . . . even from those we love the most . . . How little we understand our own motivations . . . How the material things around us, the home we build with the ones we love . . . well, they are everything . . . and nothing . . .
What an unusual and fascinating story!! I thought the plot sounded interesting, but I didn't have a clue where this book would lead me. I enjoyed this book immensely and just know I will listen to it again. There is a certain enjoyment that comes with knowing a book's ending. You can sit back without tension and just enjoy the second trip. Which is not to say that I didn't enjoy the first trip. There was just a bit of anxiety plaguing me, a bit of worry. You can better learn the plot from the publisher's description. Per my short summary, you have a 72 year-old affluent, somewhat snobbish, very intelligent Jew who is wronged by a con artist who steals the old man's and his wife's lifetime of belongings before a retirement move to southern California. Stanley Peke, as victim, started out as not such a likeable character and at some points, even reminded me of the con artist, Nick--some similarities in personality, the wish to get even, egocentric, and both very much in their own heads. That is what is so unusual about this book. Most of it was written as if it was coming from the two men's own thoughts and feelings. Some felt this method was too slow moving, not so interesting. I got used to it fairly fast. I realized what the author was doing and was able to go with the flow. I was not in a hurry. I am not an action junkie. As the book progressed, I learned a great deal more about Stanley Peke, who he was and why he was that man. While he did not become significantly more loveable, I could surely understand him. As time progressed, I became a staunch supporter and rooter for old Stan. The book took me places I never imagined, and every bit of it was compelling and fascinating, becoming more so as the book charged on toward the ending. Narration was done perfectly by Christopher Lane. He nailed both main characters as well as anyone could. A most unusual story. I am looking forward to more from this author. What did you like most about Moving Day?